Sony Pictures Networks Productions, Sunny Sounds Pvt Ltd, Affluence Movies Pvt. 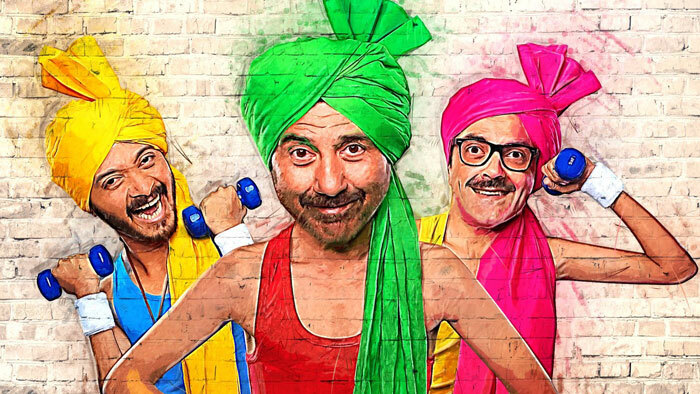 Ltd.
Jaagavar Chaudhary, Vinay Sharma, and Arjun Singh's embarrassment knows no bounds when, on an unfortunate day, they find their pictures on posters promoting vasectomy. How they prove to the world that they haven't gone under the knife is what forms the crux of the story. Three men, on an eventful day, find their pictures on posters promoting ‘nasbandi’ (vasectomy). How they tackle the situation and prove they haven't undergone any operation is what forms the crux of the story. Positive Points: Terrific comic timing of characters, screenplay and dialogues. Negative Points: Second half needed some trimming. Confirmed: Bobby Deol joins the team of Housefull 4!